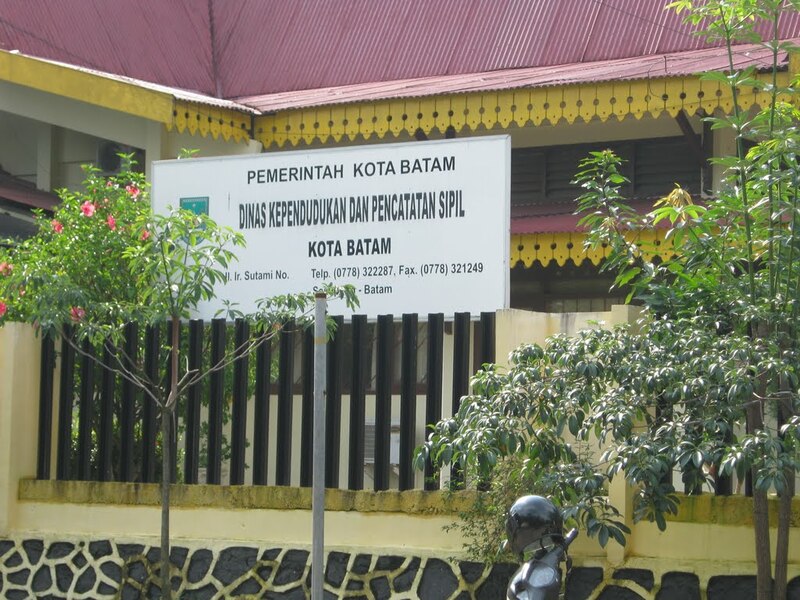 In the development of the Batam City Population and Civil Registration Service. With regard to conventional services, incoming requests per day almost reach 500 files. Resulting in a solid service waiting room, so there is a fear of not achieving excellent service for all residents of Batam. 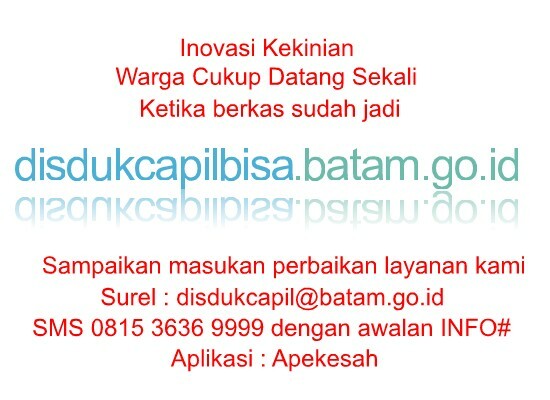 Launching of online services has been carried out by accessing website services disdukcapilbisa.batam.go.id in the framework of ease of service, so that the community only needs to come to the City Capil Disduk once, when taking the finished file. Related to residents who are mostly workers, so this online service solution has been thought of as a contemporary innovation from the Batam City Population and Civil Registration Service. What is NIK in harmony with? Alignment of the Population Registration Number (NIK) – Family Card Number (KK Number) is required if your data is problematic when registering a prepaid cellular card SIM or BPJS registration or banking or other services by a national scale agency, DATA IS NOT FOUND or NO DATA CORRESPONDING. Your alignment submission will be processed manually by the Batam City Population and Civil Registration Service staff on working days and hours. Furthermore, the data will be processed at the Directorate General of Population and Civil Registration of the Ministry of Home Affairs of the Republic of Indonesia at midnight. So, you can just try again the fastest one day after your data is synced. If after aligning up to 3x but still experiencing the same obstacles, please contact Call Center 1500 537. 1. Review the NIK and No. The KK that you enter. Make sure it is the same as the KK Number printed on the Family Card and the NIK that is printed on your Family Card and ID card. 2. Make sure the data you are using is the latest Family Card (KK) data. 3. Make sure you are not in the process of moving (submitting a moving letter). 4. Make sure you have recorded the el-KTP. Check here. If it turns out that the data you have filled in is correct, please go to the Batam City Population and Civil Registration Service on working days and hours to confirm your data.